Kaity’s Story Leads to the Formation of P.E.A.C.E. 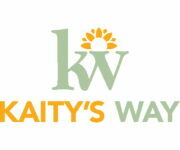 The following guest post comes to us from Bobbi Sudberry, mother to Kaitlyn Marie Sudberry and founder of Kaity’s Way, a Phoenix-based nonprofit with the mission to advocate for healthy teen relationships by providing education, skills, and tools to youth and their allies. Kaitlyn Marie Sudberry was a beautiful, vivacious, artistically talented young lady. Her ambition was to make the world a better place; however, her goal was cut short when she became the victim of an ex-boyfriend’s rage. She was not alone. While February is National Teen Dating Violence Awareness Month, teen dating violence, like domestic violence, happens every day of the year. It is a global issue. And you can help! Did you know that 81 percent of parents admit they had no idea their teen was experiencing dating violence? The Centers for Disease Control and Prevention and the American Psychological Association acknowledge intimate partner violence among teens is very prevalent and should not be ignored. The Sudberrys and Kaity’s Way strive to help prevent others from experiencing a similar loss through P.E.A.C.E. — Patience, Empathy, Acceptance, Caring, Equality. On Monday, January 28, 2008, our lives were shattered, literally obliterated. What we knew as normal no longer existed after we heard the devastating news that afternoon. One of our children, our 17-year-old daughter, Kaitlyn “Kaity” Marie Sudberry, had been murdered by her ex-boyfriend not more than 100 feet from our front door. That morning when we exchanged I love yous, how was I to know that it would be the last time I would hear those words from her? Our children want and need education on teen dating violence. Kaity was a sweet, fun-loving girl who had her whole life ahead of her. She was a high-school senior, and she had been accepted to Northern Arizona University to study wildlife sciences. She loved nature, animals, gardening, vacationing, family time, sports, music, art — and she loved trying new things. She was my shopping, football, and gardening buddy. Why is she not here doing those things with me today? A Planned Parenthood Arizona supporter shared her story of sexual assault with us in observance of National Sexual Assault Awareness Month. I had never had a boyfriend before and it was flattering to have someone dote on me and give me all of his attention. And he was a wonderful friend. We could talk to one another for hours, especially about music and art. Was I attracted to him? Not really, but did I need to be? He was someone to hang around with; a kindred spirit. College was my first priority. But, after a couple of months of friendship, he was insistent on more. I held him off for a few weeks, but he was not leaving the topic alone. The statistics on violence against women can be jarring. One out of every four women in the United States reports being assaulted by a current or former partner. And every day, three women are murdered by their husbands or boyfriends. At 2 million injuries per year, domestic violence is the leading cause of injury among women. It means that a woman is assaulted every nine seconds in the United States. As shocking as these statistics are, evidence from crime reports and community surveys indicates that women are safer today than they were 30 to 40 years ago. Domestic violence and violent crime in general have fallen significantly since the 1970s and 1980s. It was that past era that set the stage for an anti-violence movement that turns 40 this month. The silence of their victims and the indifference of their communities give amnesty to the perpetrators of gender-based violence. In October of 1975, the fatal stabbing of a Philadelphia woman shook the community and brought people into the streets to take a stand against relationship and gender-based violence. A young microbiologist named Susan Alexander Speeth was walking home at night when she was attacked and killed only a block from her home.